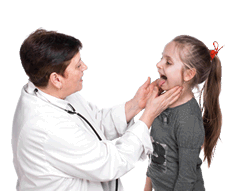 The Primary Care Education Consortium (PCEC) Medical Advisory Board is a working group of primary care clinicians who provide insight on the current educational needs and gaps facing primary care clinicians today. The purpose of the PCEC Medical Advisory Board is to define educational gaps hindering the primary care clinician’s mastery of the therapeutic areas under their purview and to provide suggestions on methods to overcome these educational gaps in order to increase clinician effectiveness and improve patient care outcomes. Penny Tenzer, MD, is an Associate Professor and Vice Chair of Academic Affairs in the Department of Family Medicine and Community Health at the University of Miami Miller School of Medicine in Miami, Florida. She also serves as Chief of Service for Family Medicine at the University of Miami Hospital, Director of Continuing Medical Education for the Department of Family Medicine, and is an attending physician in the Department of Family Medicine at Jackson Memorial Hospital. 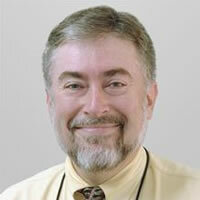 A prolific author of articles and book chapters on issues that include various pain management topics & guidelines, Diabetes, RLS, cultural competency, smoking cessation, and posttraumatic stress disorder, Dr Tenzer has been published in a range of professional journals, including the Clinics of North America Series, Annals of Family Medicine, The Journal of Family Practice, Home Health Care Consultant, Social Science & Medicine, Geriatrics, Pain Medicine, and recently co-authored a manuscript for the AAFP American Family Physician Journal regarding Opioid Use in Chronic Pain Management. 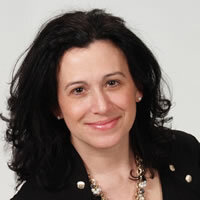 In addition she serves as an editor and author for Internal Medicine Alert. Dr Tenzer is a frequent lecturer at the national level on a variety of topics such as diabetes, attention deficit hyperactivity disorder, dyslipidemia, geriatrics, restless legs syndrome, women's health issues, and pain management. She has earned many honors, including the Florida's Best Doctors Award from Florida Monthly magazine, the Full Time Exemplary Teacher of the Year Award from the American Academy of Family Physicians, and several Golden Apple Teaching Awards. She was a finalist for the Parker J. Palmer Courage to Teach Award from the Accreditation Council for Graduate Medical Education. 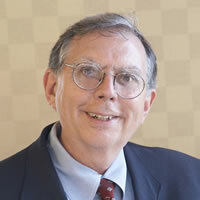 Stephen A. Brunton, MD holds the faculty rank of Adjunct Clinical Professor in the Department of Family Medicine at the University of North Carolina (UNC), Chapel Hill. He also functions as Executive Vice President for Education for the Primary Care Education Consortium (PCEC). Dr. Brunton earned his medical degree at Monash University Medical School in Melbourne, Australia. He completed his residency in family practice at Long Beach Memorial Medical Center in California. He is a board-certified family physician, with a certificate of added qualifications in geriatrics. A frequent lecturer, Dr Brunton also has published numerous articles, chapters, and monographs on family medicine and related clinical topics. He serves in editorial capacities for Internal Medicine Alert, Clinical Diabetes, Consultant, Journal of Gastroenterology and Hepatology and the Journal of Clinical Hypertension . He also serves as a reviewer for American Family Physician, the Southern Medical Journal, Expert Review of Endocrinology and Metabolism and the Journal of Family Practice. Robert Kelly, MD, has been practicing and teaching family medicine to residents and students for 25 years. Since 2001, he has been the Associate Director and Curriculum Coordinator for the Fairview Hospital/Cleveland Clinic Family Medicine Residency Program. 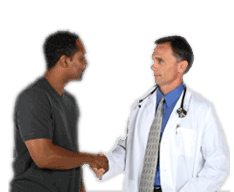 Family medicine originally attracted his interest because it involves care for everyone in the family, regardless of age or health status. He has a longstanding academic and practical interest in health promotion, disease prevention and patient education; his medical research over the years has also focused in these topic areas. Dr. Kelly has a unique role as "Patient Education Medical Editor" for the American Academy of Family Physicians. This began modestly with involvement in the creation of a series of educational pamphlets, though there have been many other projects over the years. When the AAFP developed an educational web site for patients, www.FamilyDoctor.org, Dr. Kelly was asked to serve as the Medical Editor. FamilyDoctor.org now gets more than a million uses each month and has received numerous awards for excellence as an internet resource. Most recently, Dr. Kelly has pursued an interest in complimentary and alternative medicine by receiving training in medical acupuncture in 2004 through the Helms Medical Institute "Medical Acupuncture for Physicians" course, affiliated with UCLA School of Medicine. In his first three years of acupuncture practice, he has done more than 1,000 treatments and has received certification from the American Board of Medical Acupuncture. While he still maintains an active traditional family practice, one-third of his clinical time is now devoted to medical acupuncture. 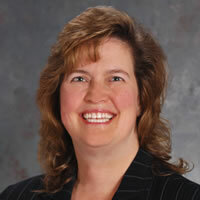 Janet Albers is the Chief Executive Officer of SIU Center for Family Medicine – a federally qualified health center, Professor and Associate Chair of the SIU Department of Family and Community Medicine, and the Program Director for the SIU Family Medicine Residency Program in Springfield. Dr. Albers has developed a residency program which emphasizes intra-disciplinary training within the context of the Patient-Centered Medical Home, as well as the development of strong community ties and partnerships within Springfield and the surrounding area. This has proven to enhance the health of the community and region, and optimizes the training experience for residents. Dr. Albers practices full scope primary care, including obstetrics, and has a special interest in Women's Health. As a recent member of the Board of Directors for the Illinois Academy of Family Physicians and as a member of its Family Medicine Educators Committee, Dr. Albers has helped develop a number of continuing medical education programs for family physicians in the state of Illinois. She also serves on the Education Committee for the Association of Family Medicine Residency Directors. Dr. Albers completed her medical school training at SIU and her residency in Family Medicine at Mayo Graduate School of Medicine in Rochester, Minnesota. Beth Smolko is the President of the Association of Family Practice Physician Assistants (AFFPA), a national constituent organization of the American Academy of Physician Assistants representing primary care PAs. 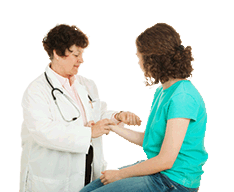 She is a board-certified Physician Assistant, currently practicing Internal Medicine in Frederick, MD. Her clinical experience includes both family practice and internal medicine, treating patients in rural and underserved communities. In addition to patient care, she serves as a clinical preceptor for both Salus University and Franklin Pierce University. Prior to earning a Masters in Medical Science from Midwestern University in 2007, she worked as a microbiologist at the National Cancer Institute at NIH studying plasmacytomas. Ms. Smolko is passionate about driving policy change to ensure all advanced practice clinicians can provide patient care within the full scope of their licenses. In 2012, she facilitated the first ever panel discussion between the presidents of the AANP and AAPA to examine how their respective professions can work together on common legislative goals. She has led direct discussions with members of Congress on the role of PAs in hospice, home health and patient centered medical homes. She recently served as a panelist representing physician assistants at the Centers for Disease Control and Prevention in the discussion on the implementation of Hepatitis C screening recommendations for baby boomers. 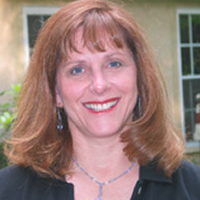 Dr. DeSimone is a clinical associate professor in the adult and family nurse practitioner programs at the Stony Brook University in N.Y. She also works in a free primary care clinic for the uninsured in West Chester, Pennsylvania. In practice since 1974, her clinical experience has taken her from critical care to research to primary care. She co-founded the Nurse Practitioner Association of Long Island and is a past president of the New York State Coalition of Nurse Practitioners. Political activism and advocacy for nurses have always remained a passion. In 2007, Dr. DeSimone was elected as the President-Elect of the American College of Clinicians, an organization whose mission is to foster patient access to high quality health care from nurse practitioners and physician assistants. Board certified in Adult Health, Dr. DeSimone is a fellow of the American Academy of Nurse Practitioners. 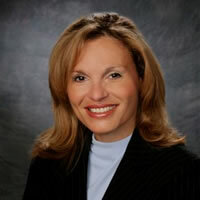 Dr. DeSimone was elected to the Center's board of directors in June 2007. Fred Eckel is Executive Director Emeritus, North Carolina Association of Pharmacists and Adjunct Professor of Pharmacy at the University of North Carolina-Chapel Hill Eshelman School of Pharmacy and a Consultant in Pharmacy Practice. Fred grew up in Philadelphia where he graduated from the Philadelphia College of Pharmacy and Science. It was at The Ohio State University School of Pharmacy and Hospitals he earned his M.S. Degree and Residency in Hospital Pharmacy. He received an Honorary Doctor of Science Degree from the University of the Sciences in Philadelphia in May 2009. Fred is a pharmacist by choice, commitment and concern. He has worked in community and hospital pharmacy. He served as Director of Pharmacy at the UNC Hospitals from 1968 to 1975. Fred is a past president of ASHP, NCSHP, and the North Carolina Center for Pharmaceutical Care for which he currently serves as Executive Director. Fred is Editor-in-Chief of Pharmacy Times and has contributed over 250 articles and editorials to the pharmacy literature. He is a frequent speaker at pharmacy meetings, having spoken in all states and on all in habited continents. Fred's wife, Peggy, is a nurse; his daughter, Sarah, and son, Stephen, practice pharmacy. Fred's faith is important to him. He continues to teach a Sunday School class each week and serves as President of Christian Pharmacists Fellowship International. Fred is considered a pharmacy futurist. You may not agree with him, but he will make you think. Be prepared to be challenged, stimulated, and quickened. 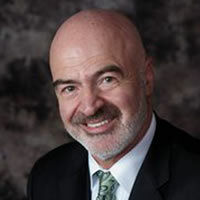 Bob Addleton is Executive Vice-President of the Physicians' Institute for Excellence in Medicine, a 501c3 subsidiary of the Medical Association of Georgia. 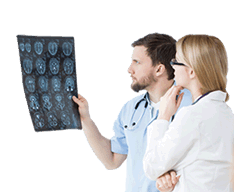 The Institute's Mission is to improve patient safety and achieve clinical improvements for physicians and their patients. The Institute is currently working with eleven state medical societies on collaborative educational initiatives. Prior to working in CME, he was an Organizational Development/Performance Improvement consultant for 6 years with the Einstein Consulting Group (Philadelphia, PA), and his own firm, Piedmont Consulting. Previous employment included positions at the Medical College of Virginia Hospitals, Western State Hospital, Wytheville Community College, the University of South Carolina at Spartanburg, and the NC Department of Vocational Rehabilitation. He has held faculty appointments at the University of Virginia, Wytheville Community College, and the University of South Carolina at Spartanburg. He is currently licensed in Georgia as a Professional Counselor. He holds a doctorate from the University of Alabama (Educational Leadership), an Educational Specialist degree (Counselor Education) from Appalachian State University, a Master's in Education (Rehabilitation Counseling) from the University of North Carolina at Chapel Hill, and a Bachelor's degree in Journalism from the University of Georgia. 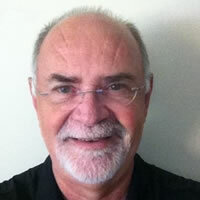 Bob is active in volunteer positions with the ACCME and the Alliance for CME. 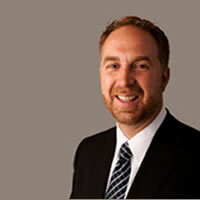 He is currently Chair of the ACCME's "CME: The Basics" program. Dr. Miller is a current board member of the Osteopathic Physicians and Surgeons Board. He is the past President of OPSO and American College of Osteopathic Family Physicians of Oregon and is also the current president of the American College of Osteopathic Family Physicians of Oregon. He has served as a delegate on the AOA board of delegates representing Oregon at this yearly meeting in Chicago. He was also serves on the Governor's Board of Rural Health. “I enjoy being involved in my children’s lives, going on family hikes and participating in their school and sports activities. I also serve on many boards in order to help improve the health and well-being of patients in our state and nationally.